This global app aims to bring the world of wine to your doorstep, connecting you with local wine events happening in your area, whether its in the US, UK, or elsewhere. Its service currently extends to hundreds of destinations, from Malta and Moldova to the Caribbean and Russia. 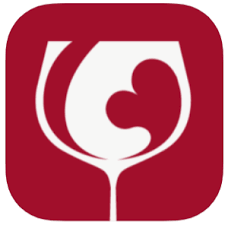 Whenever there is a wine event happening near you, the app will inform you and offer information on attending and tickets. It also periodically offers exclusive ticket access and offers, and also allows you to share event information easily with friends via social media.